For nearly three and a half years, Americans had suffered the worst economic setback in the nation’s history – the Great Depression. President Herbert Hoover’s administration did little to combat the panic, opening the door for the election of Franklin D. Roosevelt in 1932. FDR’s administration, within its first few weeks, in March 1933, started establishing a set of programs called the New Deal to help the struggling economy. The New Deal programs became the the “Alphabet Soup” with their plethora of alphabetic abbreviations, including the WPA (Works Progress Administration), the SSA (Social Security Administration), and perhaps most recognizably, the CCC (Civilian Conservation Corps). The CCC was quite literally the savior of many down-on-their-luck young men of the 1930s. It prevented many from riding the rails as hobos. Not only did it provide them jobs completing such projects as erosion control, fire suppression and infrastructure construction, it gave them hope. They made $30 a month, approximately $25 of which was sent home to their families – a crucial source of much-needed, practically-scarce cash. The money sent home was the only income some families earned. As enrollees flocked to sign up for the government-sponsored relief program in the first enrollment periods, some lied about their ages to get in, desperately seeking relief for them and their suffering families. Some enrolled with little to no previous job experience, so on-the-job training was the norm. 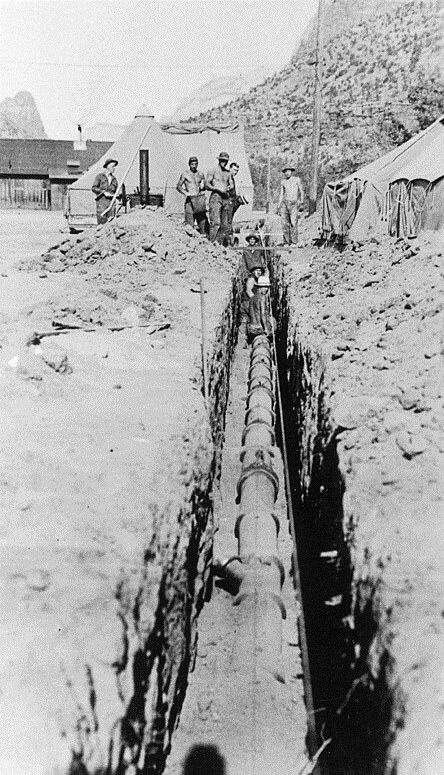 The CCC had a huge impact on Washington County. 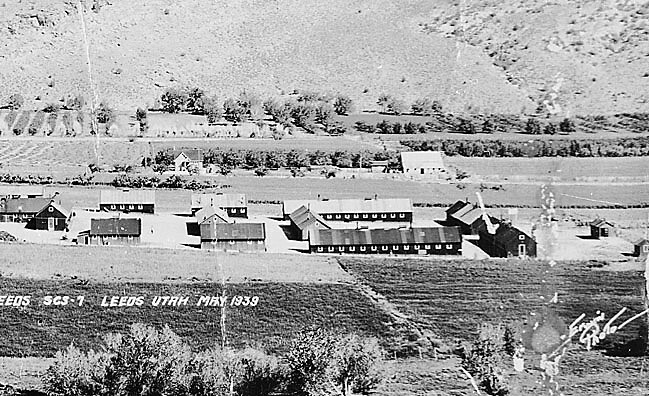 During the CCC’s 9 ½-year history, from 1933-1942, there were 15 CCC camps set up in Utah’s southwestern corner; but not all of them were there simultaneously as some only lasted a year or two. The Army administered the camps, most of which were set up purposely in temporary structures. 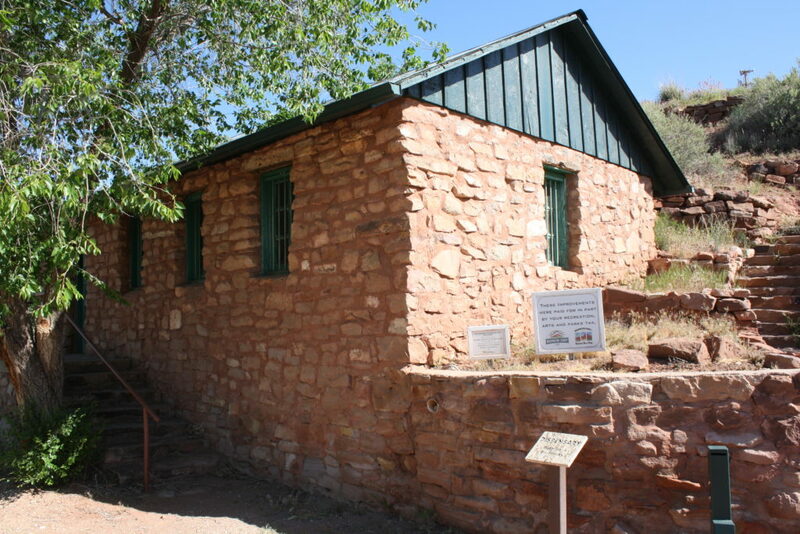 The Leeds camp was an exception as its administrative buildings were built of stone repurposed from the nearby Silver Reef ghost town. 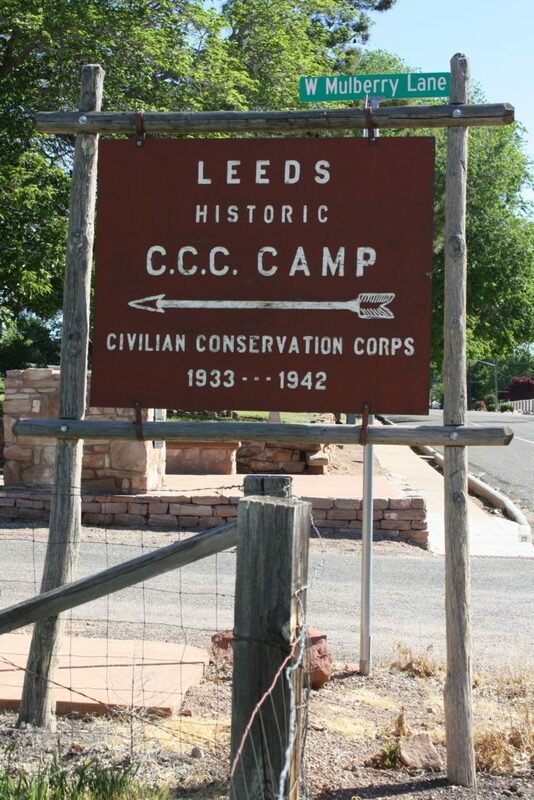 “It was the Taj Mahal of CCC camps,” Silver Reef Museum Director Bobbi Wan-kier said of the Leeds location. 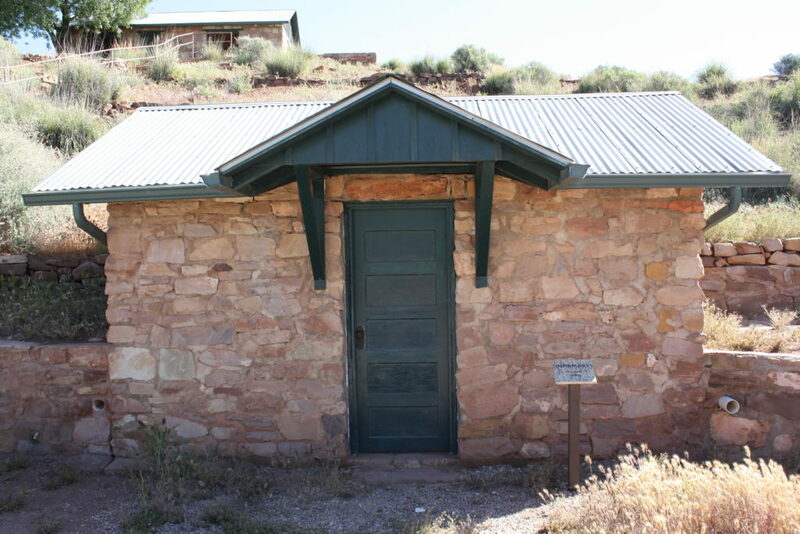 The stone buildings are the only former CCC camp structures still standing within the county – and within the whole state of Utah. Leeds residents weren’t so sure they liked the idea of having an influx of 200 young men from “the outside” come into their town, but acquiesced when they realized it was a boon to the town’s economy. Patricia Hadley, who lived in Leeds as a young child while the camp was in operation, said the town was very open and receptive to newcomers and still is. She remembers that time period with fondness. Hadley’s father, Silas Bushman, was a teacher (his formal title was “education adviser”) for the camp. Many of the enrollees came with just an 8th grade education and benefited from his “advising” after they completed their work each day. Her father got along well with the CCC boys, Hadley said, partly, she thinks, because he was a Boy Scout leader. “Dad would arrange parties and things for them after school,” Hadley said, adding that he would sometimes even invite local girls to those occasions. Her mother would bake for them and put together a play with CCC boys as actors. 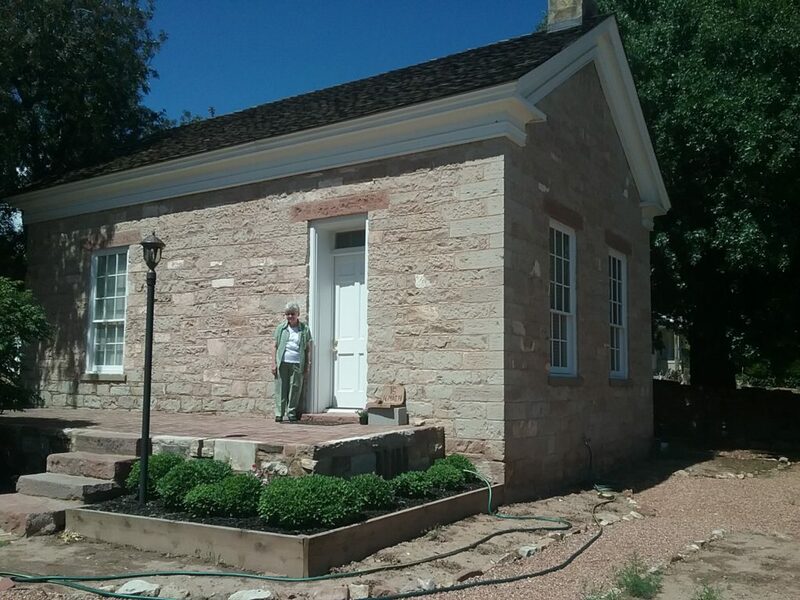 Hadley was so fond of Leeds and where she lived – the old LDS Tithing house – that she and her husband, Kenneth, purchased it three years ago and restored it as a second home. Hinton has arguably done the most to preserve the history of the CCC in the region. He led a team that completed numerous oral histories of former southern Utah CCC workers at a reunion in 1989. Those oral histories and his book, “With Picks, Shovels and Hope,“ paint a clear picture of what day-to-day life in the camps was like, some of which follow. 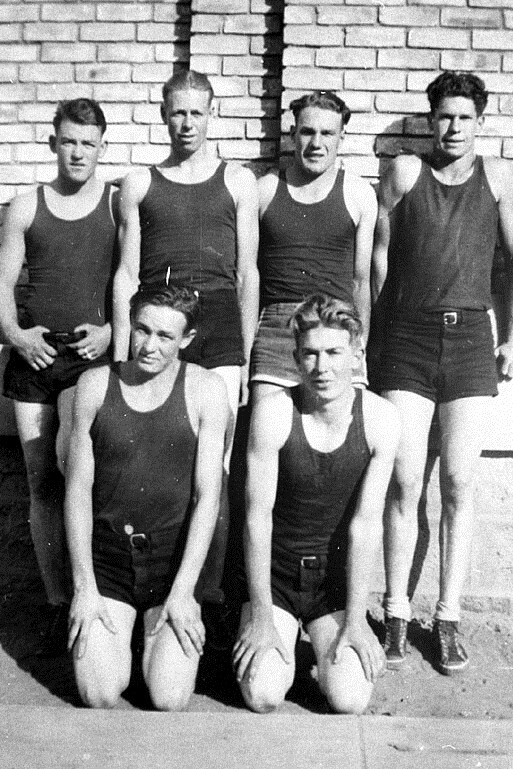 Many CCC boys who came to Southern Utah arrived from far away, some from eastern states. As such, they were not used to the climate … or the work. 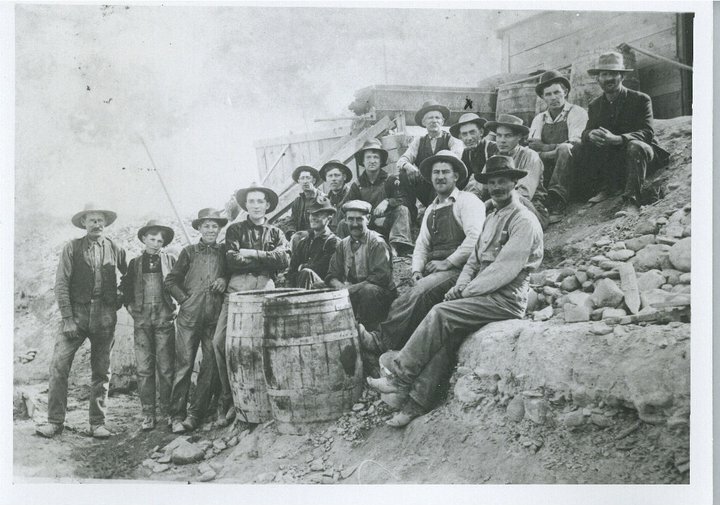 Quite a few of these men from other places stayed in Southern Utah and married local girls, bringing “new blood” to the county. Frank Holland, for example, married Alice Bentley and became the father of Jeffrey R. Holland, who later became an Apostle in The Church of Jesus Christ of Latter-day Saints. Another example was Eddie Kupferer, who came from Terre Haute, Indiana, to work at the Hurricane Camp. Kupferer married Hurricane native Lenora Spendlove and his move also proved life-changing for his sister, Edna Kupferer, who came to visit him and met Max Campbell, whom she later married. 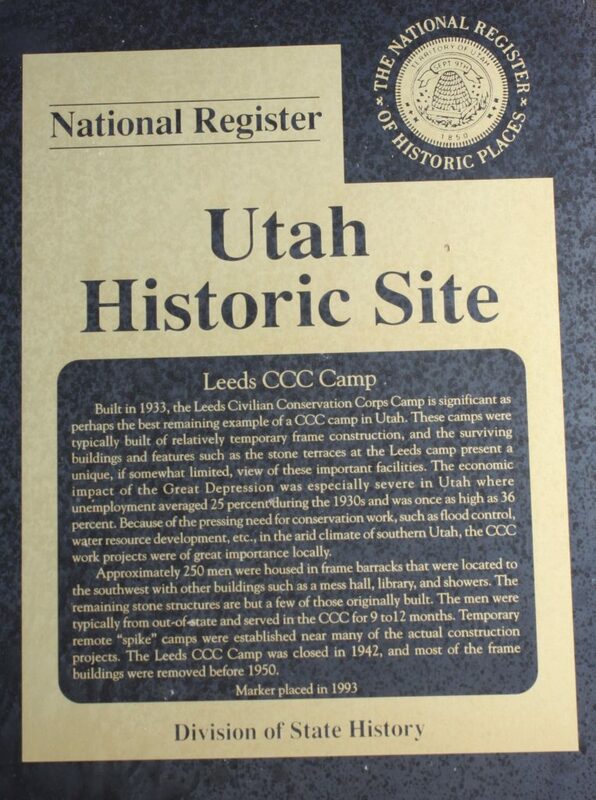 Some northern Utah camps closed down in the colder months and their workers were sent to camps in Southern Utah. 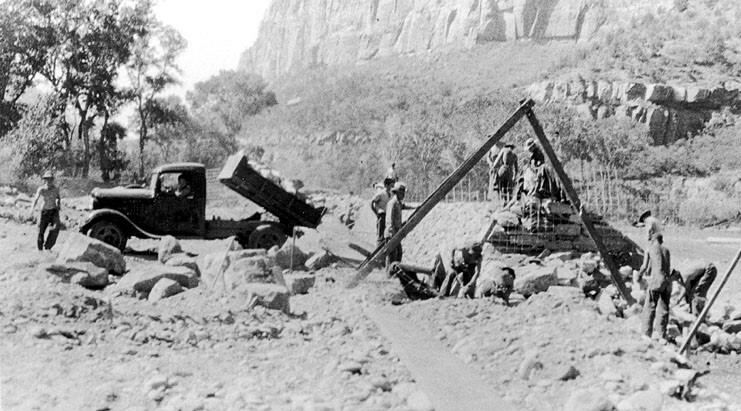 Much of the work in the Southern Utah camps was completed in the winter, and some of that work required courage. 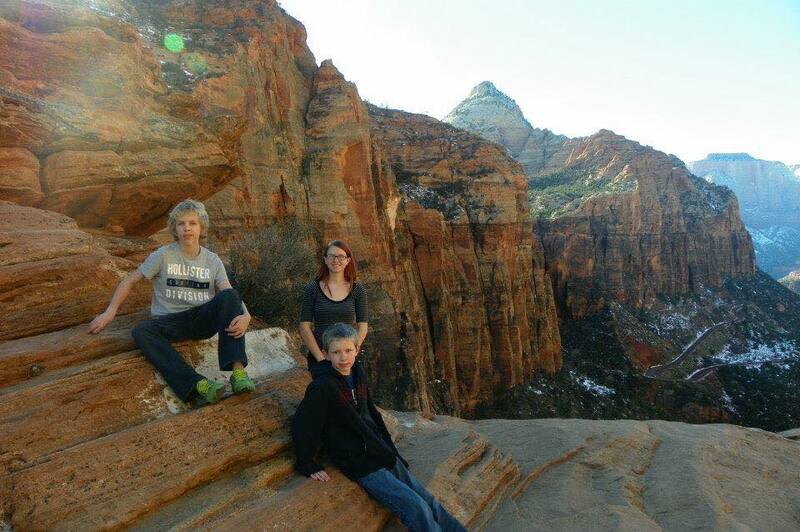 Kenneth Topham, of Paragonah, told of the time he spent on the end of a rope with a 60-pound jackhammer building Zion National Park’s Canyon Overlook Trail in the middle of winter. The CCC boys were fed hot lunches while building the trail, Topham said, but it wasn’t enough. “Us guys were just pretty near starving to death,” he said. Often there were loaves of bread lying around, Topham said. They’d toast the bread, sprinkle it with sugar and pour canned milk on it as a snack to stave off hunger. Willard Pectol, another enrollee, had different ideas about the food. 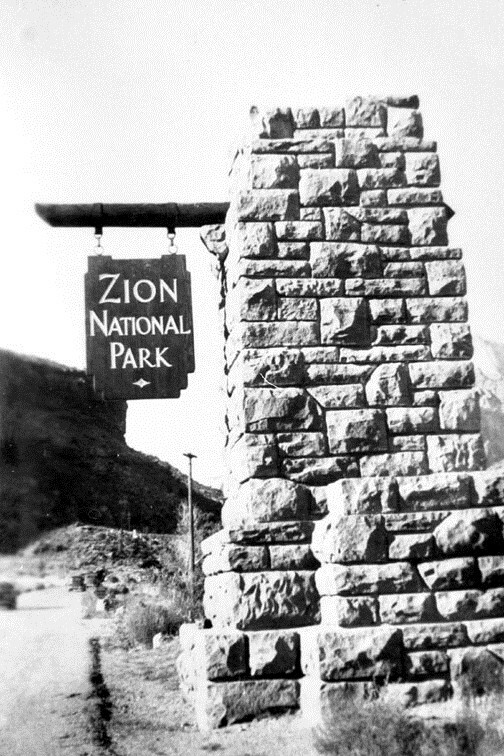 Complaints about the “slim eats” were rampant and led to protests and rumors in the Zion camps. One rumor had it that the captain was purposefully trying to save money from the mess fund and pocketing a 10 percent commission on the savings. A captain from Fort Douglas came to investigate and after his visit the quantity of food increased. 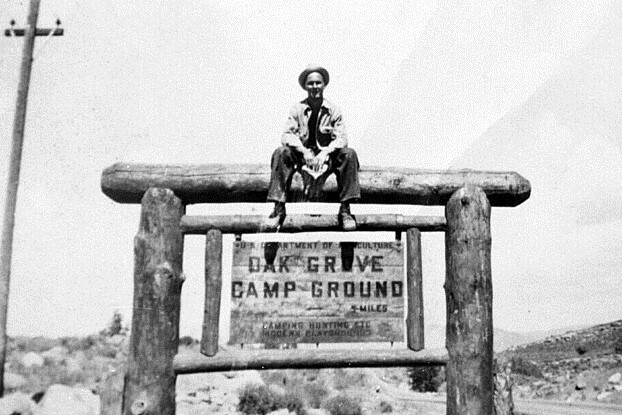 With many CCC enrollees from other places, there was often some tension in camps. “The mixing of farm boys from Kentucky and West Virginia with city boys from Ohio and Indiana in Utah camps resulted in an abnormally high number of camp disturbances and fights,” Hinton wrote in his book. 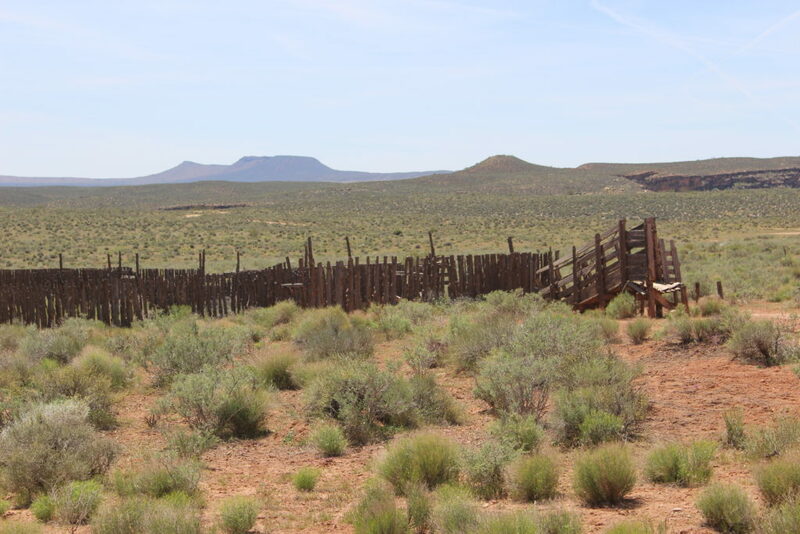 John Roundy, an enrollee from Pleasant Grove, spoke of a time when there was bad blood between the Utah boys and some young men from the Bronx, New York. These Bronx boys carried knives and got into a few scuffles. Some of the free-time diversions for CCC camp enrollees were movies, dances and especially sports. Many camps had baseball and basketball teams. Wesley Boyle, an enrollee in one of the Zion camps, was the coach of his camp’s basketball team and told the story of going to Hurricane High School to practice once a week, but running into a mishap one time. Basketball, however, wasn’t very well organized. Boyle tells a story of playoffs his team was excited about that never happened. A CCC newsletter from the St. George camp talks about having to entertain a team from the Provo camp that arrived without prior notice. 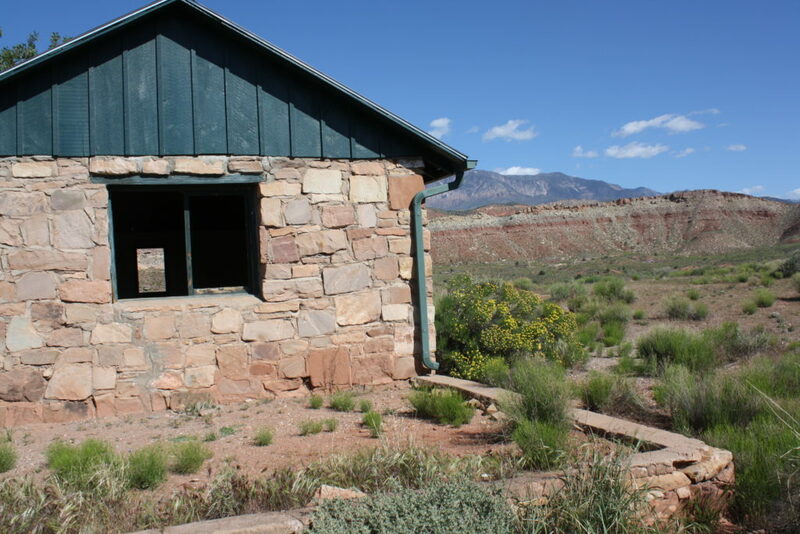 Many of the CCC boys who served their time in Southern Utah felt fortunate to be in such a beautiful place. 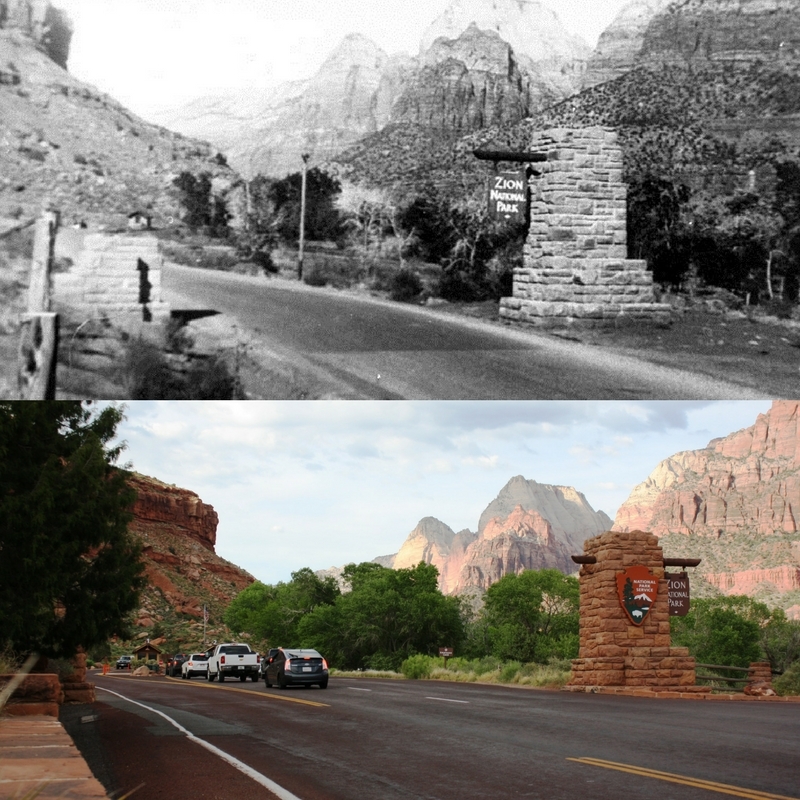 Upon first arriving in camp, Zion is “the prettiest place I’ve ever seen,” Paul Barnard, a CCC enrollee from Perry, said. Barnard felt the same way about the CCC as he did Zion. 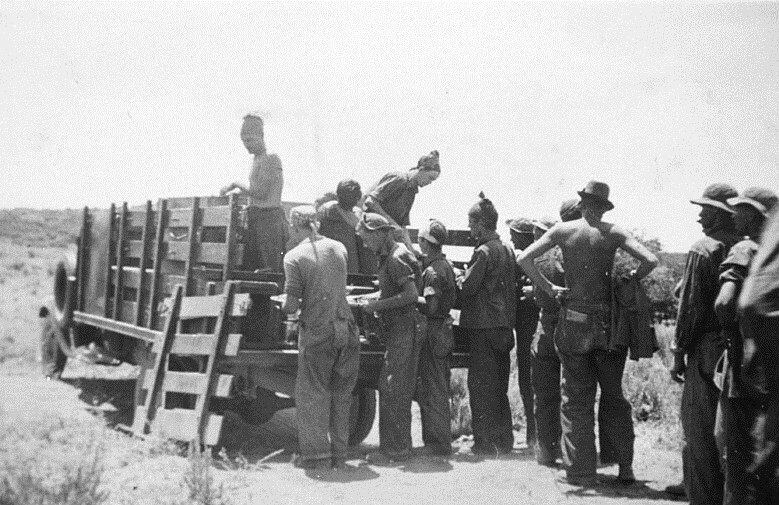 Cloyd Barton, from Tropic, said there were several young men from the East in the Hurricane and LaVerkin camps. He enjoyed seeing the looks on their faces when they first saw the landscape, he said. Lowell Brown, who came from Logan, included equal superlatives about the scenery. To envision what life was like for a typical CCC enrollee in Washington County, the best place to visit is what remains of the Leeds Camp. Take Interstate 15 to northbound Exit 22 or southbound Exit 23 onto Old Highway 91/Leeds Main Street. Turn east on Mulberry Lane (south of Exit 23, north of Exit 22) where a clearly visible sign points the way. It’s worth stopping to read the interpretive plaques along the way to get a clearer picture of the daily grind these men endured. 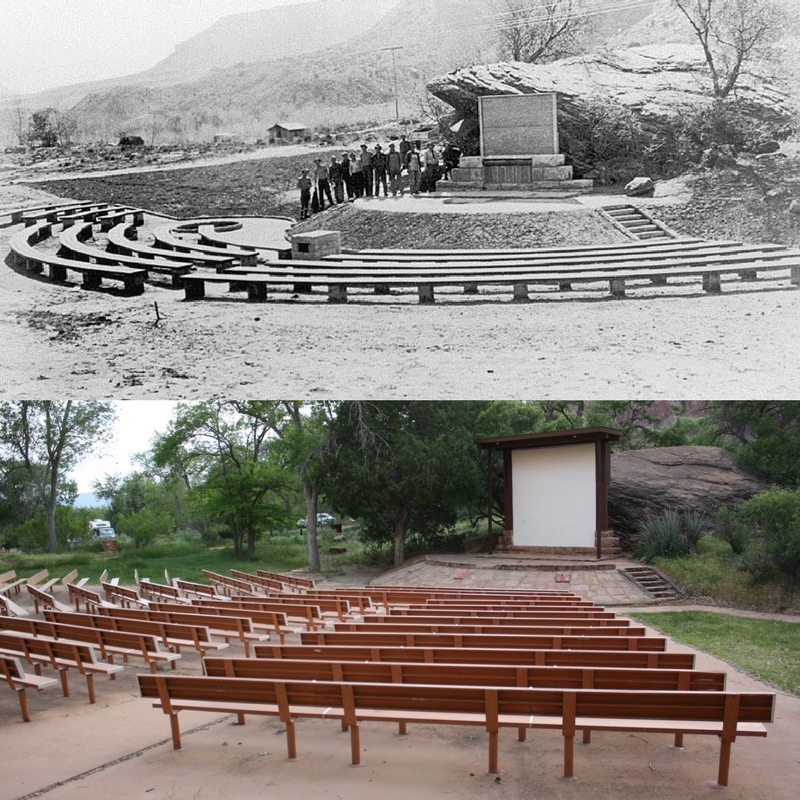 Other than the Leeds Camp, there are several structures the CCC built that are still standing and still utilized today around the county, many of them within Zion National Park: the South Campground Amphitheater, the Canyon Overlook Trail, abutments supporting bridges across the Virgin River at some trailheads, the Court of the Patriarchs and Weeping Rock parking lots and most iconic, the South Entrance Monument, which is slated to be moved 25 feet from its current location to facilitate easier entrance for park visitors. 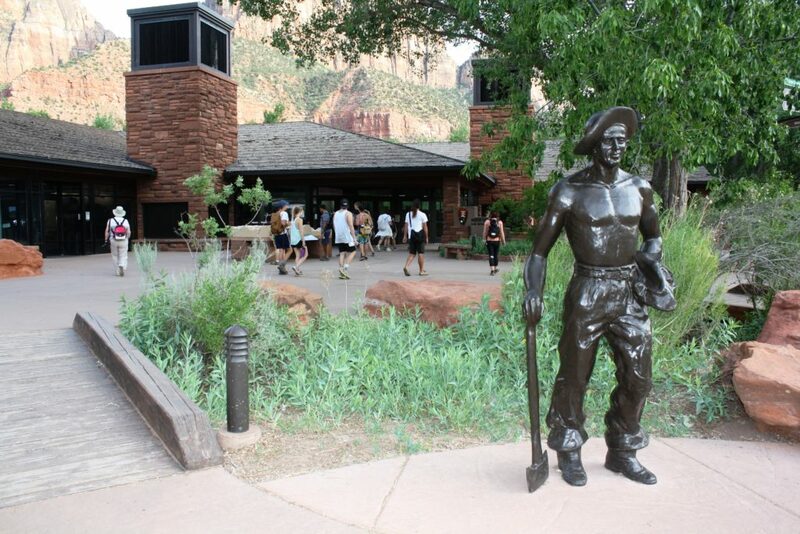 In September 2016, a CCC Legacy statue depicting a CCC enrollee was placed near the Zion Canyon Visitor Center, the first one of its kind in Utah. Unfortunately, there is no inscription at the base or near the statue explaining what it is. 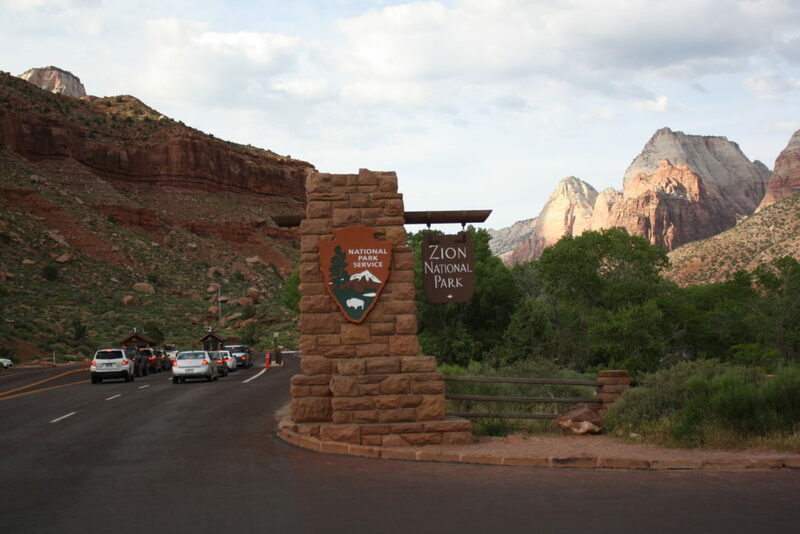 Sarah Horton, Zion’s archaeologist and cultural resource program manager, said that an interpretive sign explaining the statue will be forthcoming, she just doesn’t know when. 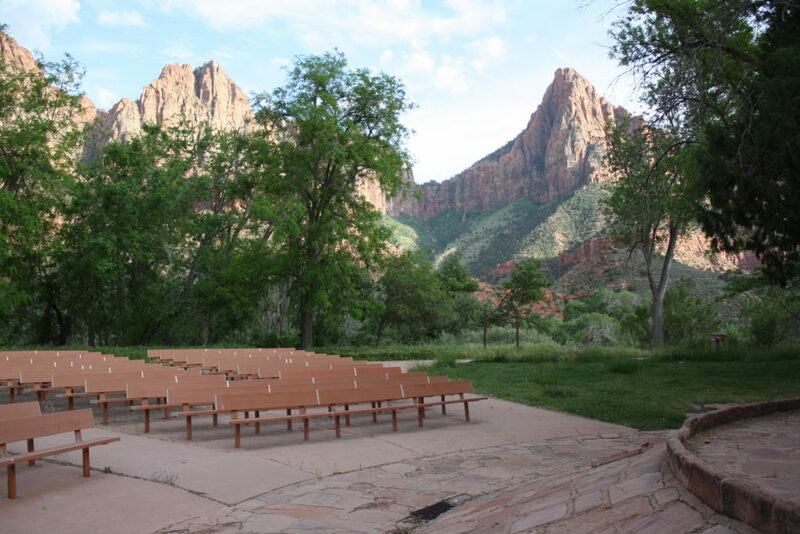 It is a shame the average Zion visitor has no idea of the CCC’s impact on the park, Ken Baldridge, the statue’s primary champion and fundraiser, said. 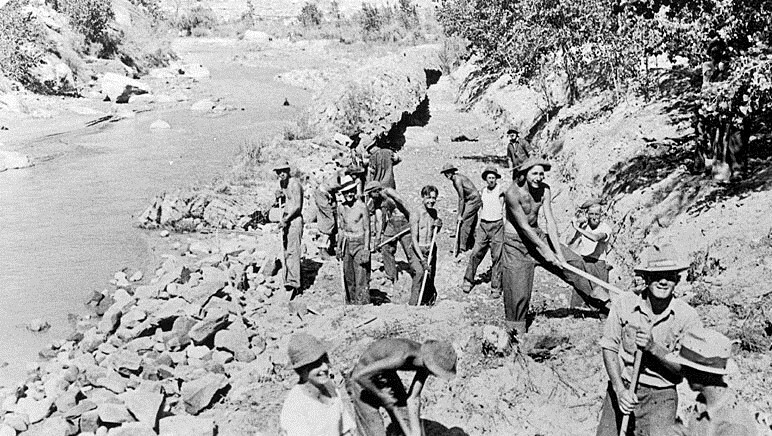 Other recognizable remnants of the CCC boys construction efforts outside of Zion are a sheep corral visible from state Route 9 just west of Virgin, the Oak Grove Road and Campground and the Winsor Dam on the Winsor Creek, also known as the Santa Clara Creek, among others. It’s worth the drive to see these Depression-era relics that are still a part of the landscape today. The CCC’s impact on the county cannot be understated. “Without their efforts we would have many, many fewer roads, trails, buildings, and a natural landscape left to erode away decades ago,” Horton said. A very fine article, and put together quit well Mr. Wadsworth. Thanks for the local history lesson. This is one of the best stories that I have ever read. Thank you so much. Thank you very much for your kind words, everyone. These articles are a pleasure to do. 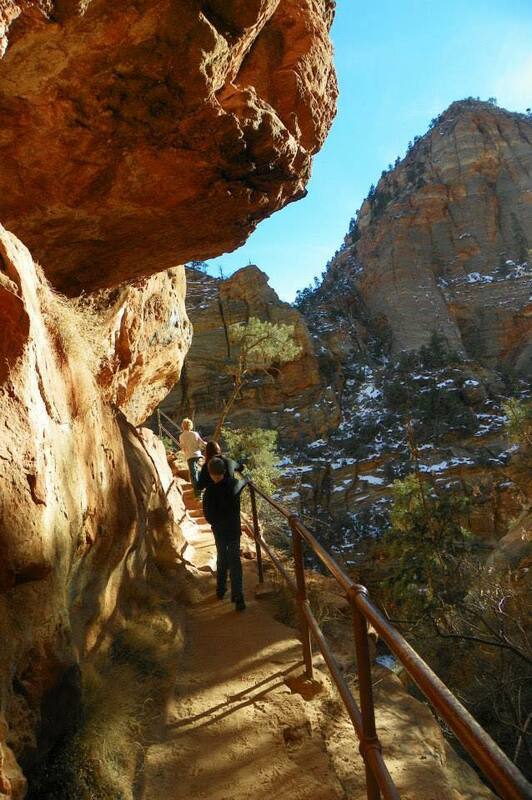 Please keep reading the Days Series – the next one will be about Kolob Canyons on June 4.